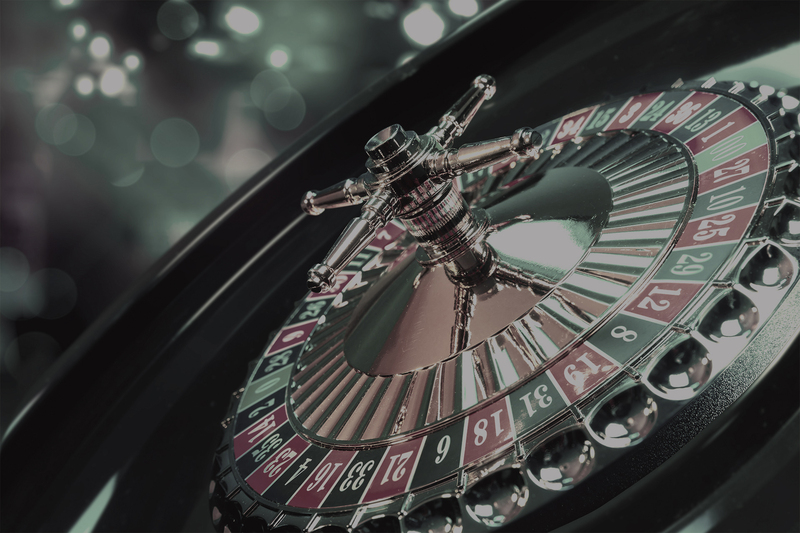 The video below is about a young man who risked it all on the Roulette table. Absolutely nuts! – Yes! 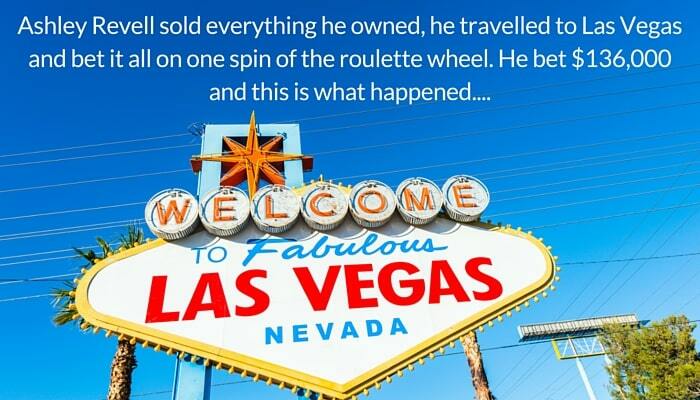 Ashley Revell from the UK sold everything he owned which came to the sum of £89,000, took a Sky camera crew off to Vegas and gambled the whole lot on ‘red’. Did it strike it lucky or did he lose the lot? Hit the play button in the video below to find out…. Here are a few stories of some BIG losers…. In 1992 a Greek-American by the name of Archie Karas went to Vegas with $50 and had possibly the longest winning streak ever. In six months he’d turned $50 into $17 million and three years later was worth an unbelievable $40 million! However, his luck ran out and he lost it all in three weeks. Terance Watanabe made his fortune running a party favour business in Nebraska. In 2007 he decided to visit Vegas and gambled at Caesars Palace and Rio casinos where in one year, he lost a huge $204 million. Apparently his main problem was he didn’t know how to play properly! (By the way – if you have the same problem don’t panic as I’m going to show you how to play very soon in my “Learn To Play” event events. It doesn’t guarantee you’ll win but it will certainly give you a head start! Keep an eye on the website for more info soon). This man paid the ultimate price for his bet. In 1875 Captain Matthew Webb became the first man to swim the English Channel. His ambitions didn’t end there though; he wanted to swim across the Niagara Falls Rapids and would have won $2000 if successful. Despite surviving for two minutes, he was sucked under and drowned. So what about the Big Winners? In January 2000 Cynthia Jay – a cocktail waitress in Vegas went out to celebrate her mother-in-law’s birthday. She started playing a Megabucks slot machine and on her ninth pull won almost $35 million! Sadly there was no happy ending for this lady. Seven weeks after her win, a drunk driver hit her car killing her sister and paralyzing Cynthia from the waist down. In 1989, Elmer Sherwin also played the Megabucks slot machine on the opening night of the Mirage Casino. He won the jackpot of $4.6 million. In 2005 he played the same machine in another Vegas casino and won again – this time – a cool $21 million. The only downside was he was 92 at the time!! Every granddad thinks their grandson is going to be the next Ronaldo but Peter Edwards from Wales bet £50 that his 3yr old grandson would play football for his national team – Wales. He was given 2500:1 odds. His dream came true as in October 2013, 16yr old Harry Wilson stepped onto the field wearing a Wales shirt against Belgium in a World Cup Qualifier. His granddad pocketed £125,000. Back in the 60’s Sean Connery liked to have a little flutter. He placed his chips on number 17 on the Roulette wheel but lost on the first two spins. However, he left his money there and on he next spin, number 17 came in. Amazingly, he left his winnings on the same number and number 17 came in again……..and again (50,000-1 odds)! He walked away with the equivalent today of around £163,000 – that was a good day for Mr. Bond. So there you have it – just a few stories of winners and losers. If you’re not as brave as Ashley Revell, then why not try Blackjack or Roulette without the risk? Funky Casinos hold fun events with experienced croupiers and real tables but there’s no real money involved. Are you ready to hit the tables and try your luck? Why not have a Funky Casinos party night and have the Casino come to you. A fun casino is a great way of entertaining your guests and letting them experience and participate in a thoroughly enjoyable party event that will be remembered for a long time! Registered Office: 1 Oakleigh Villas, Old House Lane, Roydon Harlow, Essex, CM19 5DJ. Final party before Easter! We loved the LED tables that were busy all night. It’s such a social entertainment - everyone was chatting and interacting and whooping when they hit a number.